Sculpting with UVs and displacements. Inspired by some zbrush technics of my good friend MealeaYing. Most of all, inspired from the Prometheus movie and specifically from the work of this excellent russian artist. 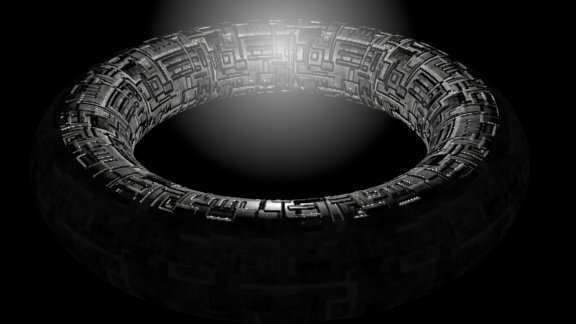 He’s the man behind the 3d rebuilding of the alien ship. OK, common technics in zbrush but what about blender? Here’s some tests on the following technic. Post yours, let’s start a thread on this kind of sculpting. Are Old Links Dead On New Site? 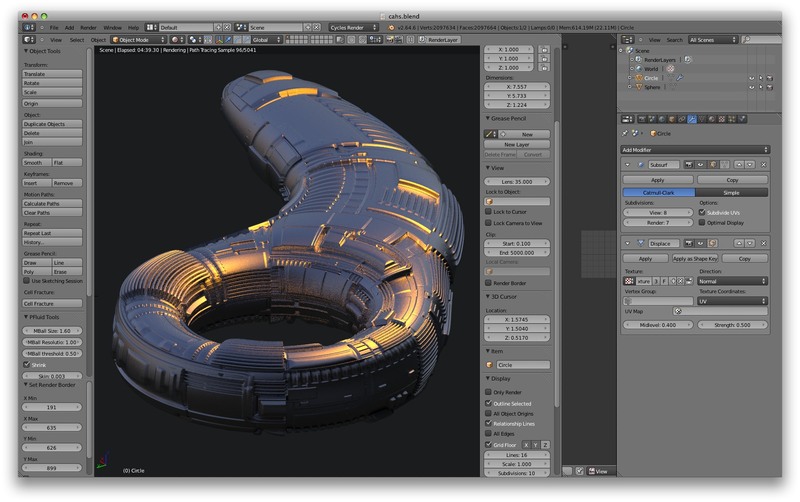 Wow excellent stuff michalis,looking forward to trying it out myself.You did exactly what I thought with uv islands. hopefully I can try this weekend. 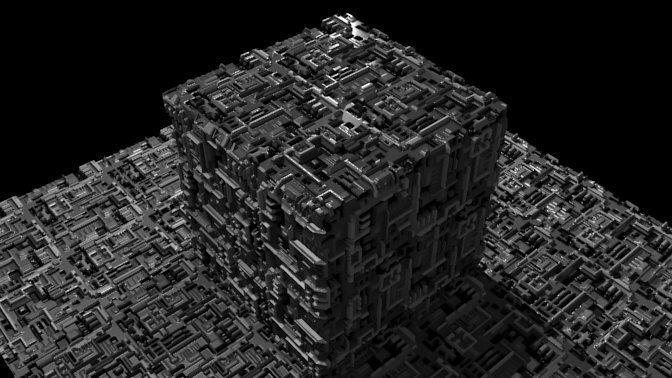 Here’s a EXR displacement 32 bit map to play with. Of course, we can start adding smaller parts on this model, using the same method. Antennas or guns would be nice, I guess. My last starship like, the Big… something, LOL, counts 400k after subdivisions. 100k looks almost the same. Bump maps do the trick. Because displ map is aligned to the geometry-topology! We don’t really sculpt on a multires mesh, we displace! Real sculpting produces real new topology. Could you also share a blend file with a panel so start with?? Whoaaaa, thanks, double post. I appreciate this. 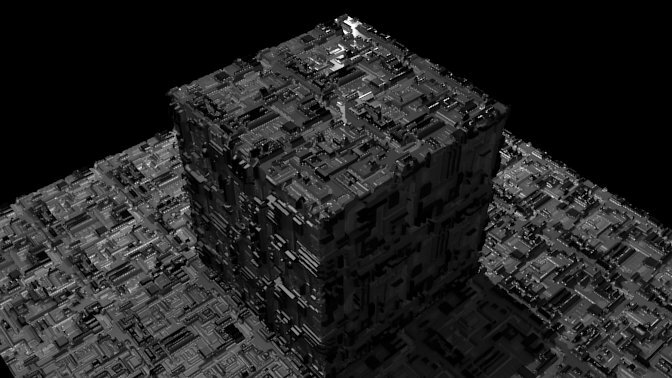 I just posted the displacement map. I’m not good on imagining such panels. Hey, you can do better. I guess, a nice drawing on paper could help to realize what elements are needed for such a panel. I dont know whether my Mac can handle a 6*displacement?! hey, 6* displacement means ~400k. A *5 ~100K still looks almost the same. You will add a bump node for fine details. Avoid smoothed shading. By all means. It’s a hard surf sculpting. for diffuse, bump and displace. 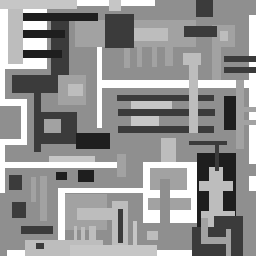 The negative version of the displace reminds me of some electronic circuitry. The UV editor is the key. 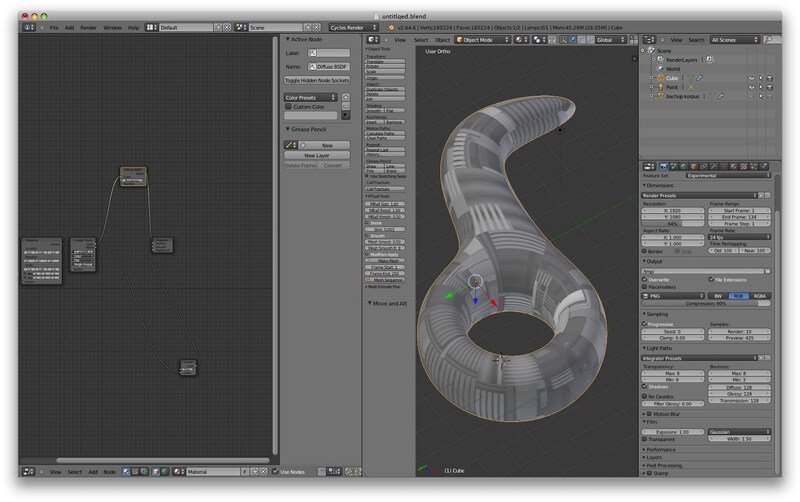 You also have to use blender for constructing reliefs, and bake 32 bit maps. Gimp won’t help you except of cropping the edges of the baked exr. To build your displ pattern is the more time consuming. But you can use it on lot of meshes. We can build a shared library of such exr files you know. You have to apply a subsurf+displacement modifiers. 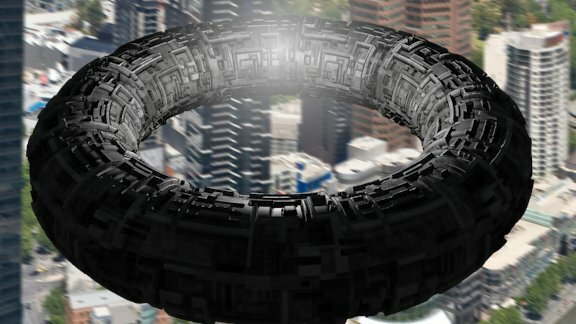 Don’t go through cycles true displacement-experimental mode, please don’t! After this, go under the texture properties panel and apply the displ map under disp sub menu, there. BTW, why don’t you use the bump node (under vector menu) and connect it to normal socket of the BSDF? thanks for this - and yes your comment is right we dont sculpt in Blender we displace - thats the bad part. we don’t displace in blender only, we displace on lot of other apps too. Blender dyntopo is not a displacer, it’s true sculpting and I love it. Sculptris is a true sculpting app too. Dynamesh in zbrush stands in the middle. Displace first and turn it to a true sculpting topology after. We have the remesh modifier in blender which does something similar to zb, but it’s limited a lot. What I proposed here is not far from using alpha based brushes and displace on a subdivided surface. UV editor is used to control this projection. Simple. I actually used your UV tricks to brake the repetition on the Cube and if you look at the cube, and only the cube (not the ground) you should notice that the pattern is not repeating. THIS is a Fantastic Technique! Thank you for providing this great mini Tutorial. You select a quad, you unwrap this only, you align it as you wish. Then, you select some quads. The previous selected quad still remains gray, blender indicates that it’s the active quad. If you unwrap all these selected using “follow the active quad”, they will follow this quad. It’s that simple. I may didn’t understand what you’re asking. I knew that you all are more talented than me, at least on this subject. Hey you are the Master! The stuff from Gutalin is so dope!